The World’s Best Low-Cost Airline is welcoming the year 2017 with a bang! AirAsia is giving away seats from as low as P17 in its first major promotional seat sale of the year. We like to start the year with a bang and what better way to welcome summer than with new additional flights to Philippines’ best island destinations of Boracay and Palawan, and other equally stunning destinations across the country and abroad now up for grabs at promo fares. AirAsia’s seat sale from as low as P17.00,* all-in promo fares are available for booking today until March 19 for travel period from March 27 to June 1 for Clark-Kalibo; April 22 to June 5 for Cebu to Boracay and Davao; September 1 to June 1 for Manila to Cebu and Kalibo. Promotional seats for international destinations are also available for booking via airasia.com with travel period from September 1 to June 5, 2017. *One-way base fare excluding taxes and fees. Terms and conditions apply. Meanwhile, AirAsia has recently announced its return to Clark with flights to Davao and Kalibo and expanded its Cebu hub to include flights to Davao, Boracay, and Palawan. From Davao, AirAsia will also fly to Boracay, Palawan, Clark, and Cebu starting April 22. The AirAsia Group, which is the leading and largest low-cost carrier by passengers, carried in Asia is also offering up to 3 million promotional seats to more than 120 destinations in Asia, Australia and New Zealand and the Middle East. AirAsia was named World’s Best Low-Cost Airline for the eighth year in a row and AirAsia X, the long-haul affiliate of the group, won the World’s Best Low-Cost Premium Cabin and Premium Seat for the fourth straight year at 2016 Skytrax World Airline Awards. Moreover, AirAsia was also awarded World’s Leading Low-Cost Airline for the fourth consecutive year at the 2016 World Travel Awards, where it also beat a field of full-service carriers to become the first ever low-cost carrier to win World’s Leading Inflight Service. For latest updates on promotions and activities, please follow AirAsia on Twitter (twitter.com/AirAsia) and Facebook (facebook.com/AirAsia). Achieve your travel goals now with AirAsia’s red hot seat sale by booking now at www.airasia.com! Where’s your next travel destination? Share your answers in the comments! 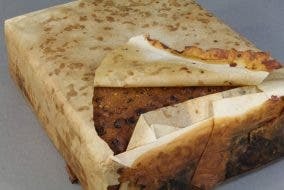 Would You Eat This 100 Year-Old Fruitcake?